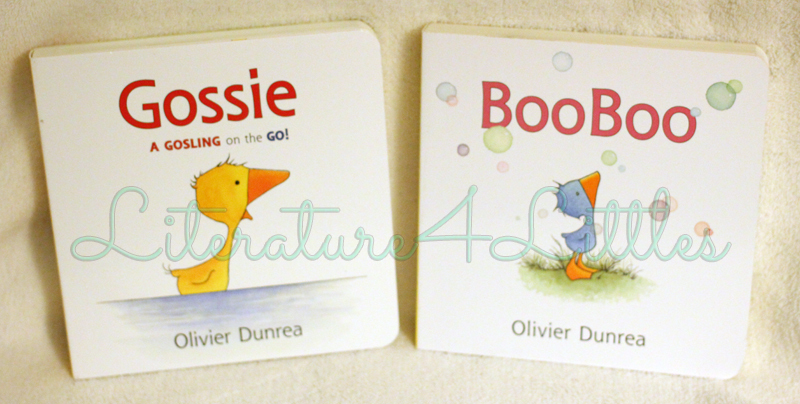 Gossie and Friends is a series of books by Olivier Dunrea. This series features various goslings (baby geese). Each book in the series tells a little story about the individual gosling, sometimes with a friend, related to whatever that particular gosling’s interests are. For example, Gossie loves her red boots; Booboo loves to eat. Each gosling will come across a minor problem related to that interest, which is quickly resolved by the end of the book. The stories themselves are cute and straightforward. The actions of the goslings are typical of very young children. While the stories themselves don’t particularly stand out, but the artwork is just too cute. I would recommend these books for children 0-3.